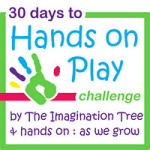 30 Days to Hands on Play Challenge! Today is November 1st and it marks the beginning of a VERY exciting month! 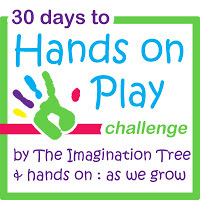 30 Days to Hands on Play! Jamie and I will present a short, easy play idea for every day in this coming month. We will alternate between our two blogs with each idea and encourage you to try it out and find some new ideas to freshen up your play repertoire! 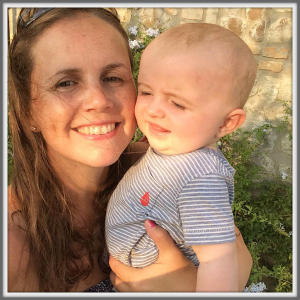 We will be doing the challenge right along with you and would love it if we could all discuss how each day has gone in the comments or over in our Blog Frog forum The Play Network! We are looking forward to being as inspired and challenged by all of you as you are by the challenge itself. Spend a little bit of time thinking about this challenge. What do you hope to gain? Think about your child (or children) What do they really love doing? What are they good at? Their special interests? This will be really helpful as the challenge unfolds. I want to be inspired to try some new ways to play and to make sure that there are absolutely no distractions while doing so, so that both girls have my absolute full attention when we are together. 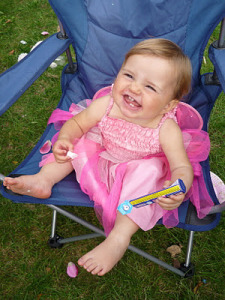 Cakie: is full of energy, loves to climb, throw, jump and run. 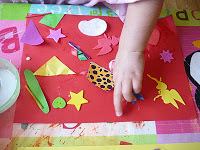 She is also incredibly imaginative and will make up stories and role plays with toys or even her fingers! 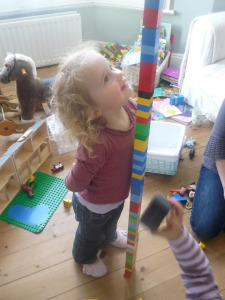 She loves to try things to see what they can do and to stack, build, tie and create. 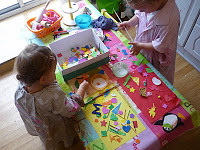 Pop: adores colouring, painting and drawing and cries when we have to tidy those things away! She loves to fill and empty, build with blocks and take care of her baby dolls and teddies. She is curious and inquisitive, testing new materials and not in any way afraid to get messy or stuck right in! Grab a coffee and a notepad and quickly write out your hopes for this challenge, then stick it on the fridge! Tomorrow there will be the first play idea, shared over on hands on: as we grow! 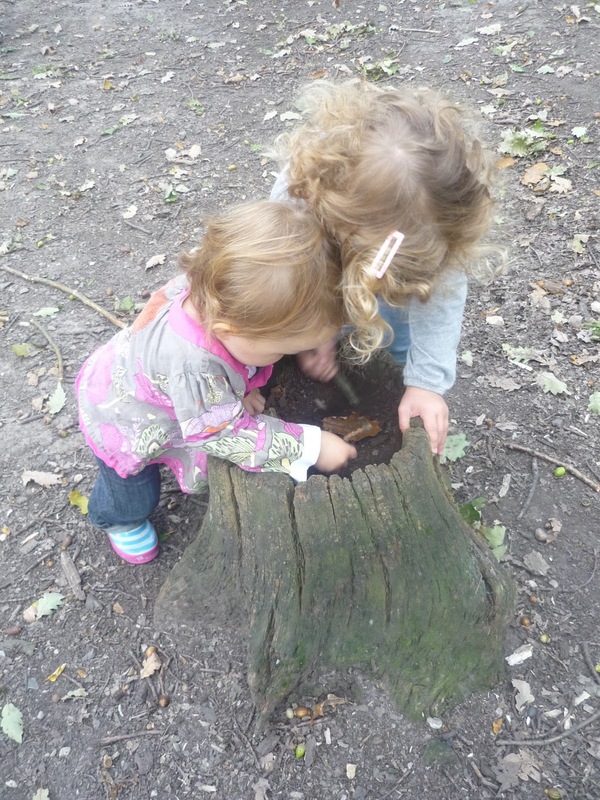 30 Days to Hands on Play: Ways to Keep on Playing! 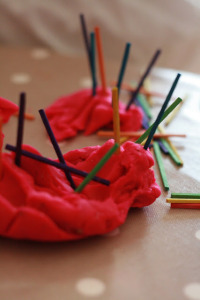 30 Days to Hands on Play Challenge: Dressing Up! « 5 a Day Books: Space! 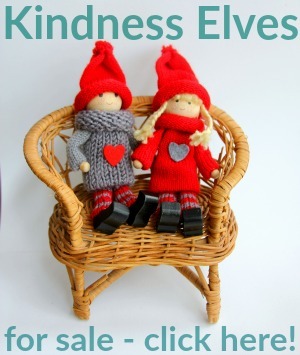 What a fab idea – and quite an undertaking! Good luck, can’t wait gain some new ideas! What a great challenge for us all! I love it very much and I will support you and Jamie as much as I can. I love this idea! I will be brainstorming later today! Yay, I’m excited! I’m going to think hard about this one and really come up with somthing for ALL the children. Do you even find that it is a little easier to do stuff with one or the other? The challenge looks great! Look forward to all the ideas. Count me in! Such a great idea and boost to encourage me to be more intentional and creative with my son (he’s 3). 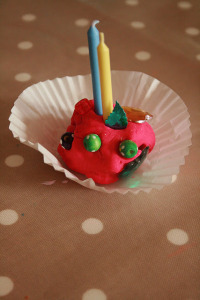 I found you via transatlantic blonde’s blog, and really happy to have discovered your blog. Yes, I’m definitely in and looking forward to this! Awesome. I tried to sign up for email reminders but it is giving me an error? We’ll definitely be participating! I’m excited and can’t wait to see what you two have planned! Wow, what a fabulous idea! Am definitely in. For the days I’m not at work, anyway… Thank you for the heads up. This sounds really good- and also has mad eme relasie that I find it a bit hard to make a list like yours…….smack hands mummy, have not been paying enough attention to my kidlets!! Well, I know what they like but it starts with w and ends with ii! Tee hee- no, I do hav some ideas so I will engage my brian. This has come at a great time as I am really needing to restructure and refocus my time with the boys. I think this is an awesome idea! I know there are many days where I look back and wonder where the day went and what have my kids been up to today. This will be helpful since the holidays are right around the corner! Wow! This challenge could not have come at a better time! 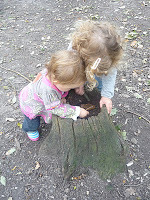 I have two little ones of my own that I am privileged to be able to play with every day, AND we are opening a childcare centre in two short months as well! The more ideas, the better for everyone! Sorry but same trouble; can’t sign up. So happy to found your website. We’re joining in with the hands on play challenge. Sorry about the broken sign up link ladies! It is *finally* fixed, I do believe! So enter your email addresses ahoy! This is fantastic! I know the post is an old one, but we are going to go through the challenge anyway! Thanks!